After making several comments of Pranab Mukherjee's attending RSS event at its headquarter in Nagpur, earlier Congress leader Anand Sharma said that Mr Mukherjee decision on attending RSS event has had anguish Congress workers. 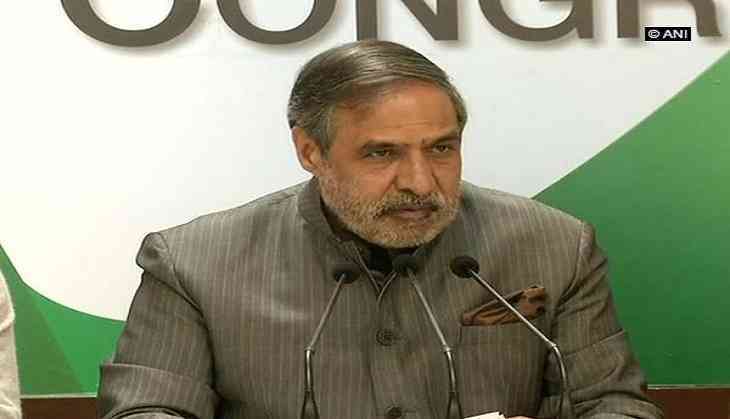 "The images of Pranab Da, veteran leader and ideologue at RSS Headquarters have anguished millions of Congress workers and all those who believed in pluralism, diversity and the foundational values of the Indian Republic", Anand Sharma tweeted. But he didn't took time to take a U-turn soon after Mukherjee's speech at the RSS event where he spoke for secularism and non-violence, saying "the soul of India resides in pluralism and tolerance", Anand Sharma told NDTV that nobody in the Congress had any doubt about Pranab Mukherjee's "clarity, courage, conviction and his commitment to the idea of India." "The message that he has given is of an India that is inclusive and tolerant, peaceful, multi-religious, multi-lingual and multi-cultural. Is the RSS willing to absorb is the question I had raised and that is still in my mind", asked Anand Sharma. RSS invited Pranab Mukherjee on the grand event of it's at the headquarters in Nagpur and former President's decision to accept the invite to attend RSS event on June 7 has raised innumerable questions from the Congress, that had been his party for nearly five decades before he became President in 2012. "People are possibly overlooking that. So when you say certain images are disturbing, there's nothing wrong", said the Congress leader.